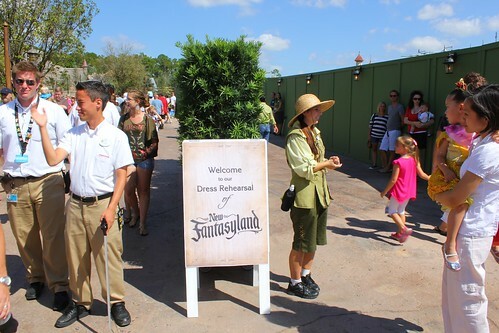 Weeks before publicly announced preview dates, this morning Walt Disney World quietly soft opened the New Fantasyland expansion area of the Magic Kingdom to all park attendees. 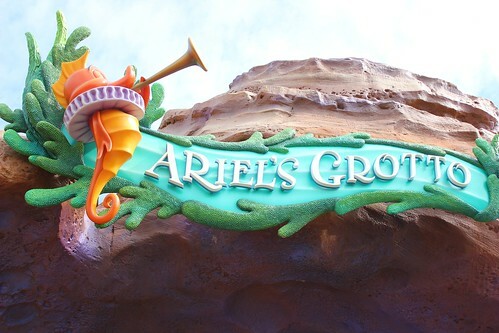 Included in this special preview were the majority of the areas inspired by “The Little Mermaid” and “Beauty and the Beast,” including new dark ride Under the Sea ~ Journey of the Little Mermaid, Ariel’s Grotto meet-and-greet, Gaston’s Tavern, and Enchanted Tales with Belle. 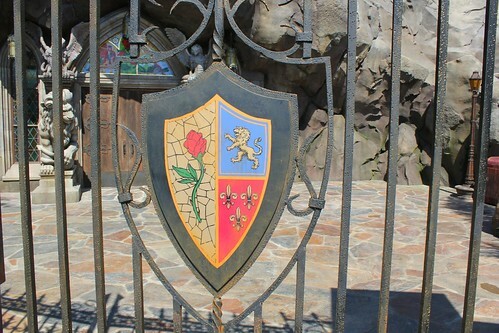 While guests could cross an ominous bridge and approach the Be Our Guest restaurant, they were not permitted inside quite yet. 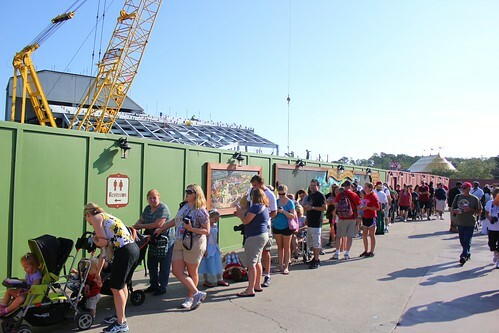 Construction walls that have persisted in the park for years have recently been greatly reduced, with access to the new Fantasyland Forest now blocked only by rows of planters and Cast Members who today allowed guests inside for the first time. Though there is much construction still to be done in the area, the large portion of this theme park expansion is now nearly complete, almost ready for its December 6 grand opening. 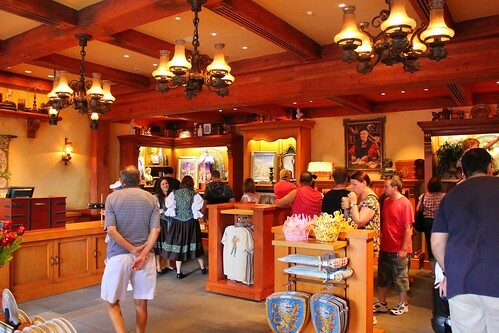 Much like the recent previews of Enchanted Tales with Belle, today’s soft opening of New Fantasyland was a test to train Cast Members in their new roles and gauge guest reactions, giving the design team a chance to make tweaks in the coming weeks ahead. Inside New Fantasyland, the lucky guests who were part of this first preview had the opportunity to be astounded by the level of detail featured throughout the new area, encompassing all who entered into an entirely new world surrounded by trees, waterways, elaborate mountain ranges, and plenty of Disney details. 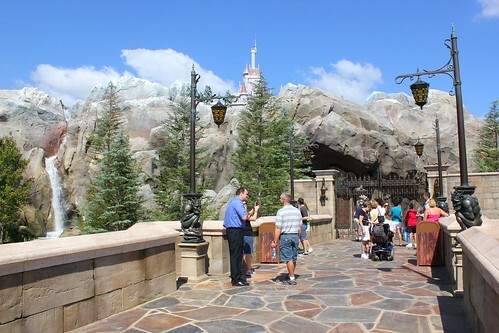 Take a spoiler-heavy look around each of the previewed portions of New Fantasyland below. 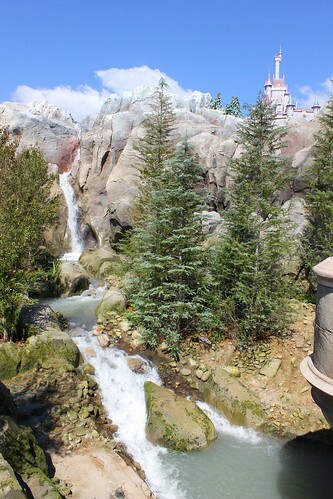 The area that houses the “Beauty and the Beast” and “The Little Mermaid” sections of New Fantasyland is called the Fantasyland Forest. It will ultimately be lined with fresh foliage, though much of that will come in later phases of the expansion. 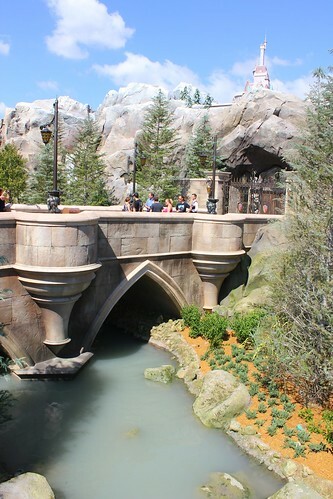 For now, winding paths, running waterways, and some lush landscaping, particularly around the Be Our Guest restaurant, make it a distinct difference from some of the drab concrete walkways that line the majority of the rest of the older Fantasyland areas. 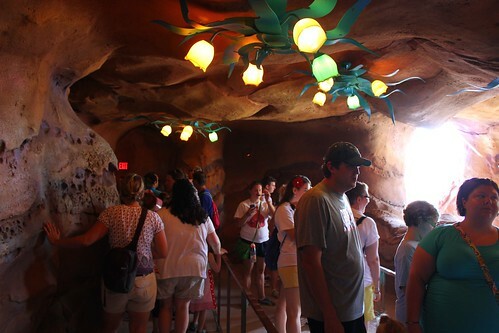 Borrowing a ride from the Disney California Adventure theme park, Under the Sea ~ Journey of the Little Mermaid immerses guests into the world of “The Little Mermaid” for the first time as a dark ride at Walt Disney World. 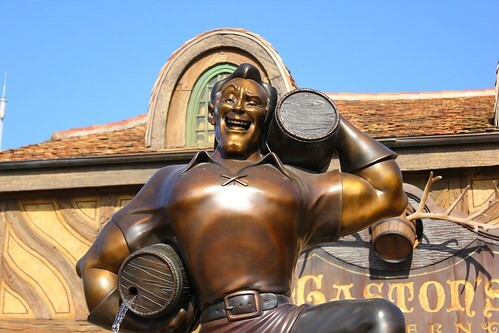 In the tradition of classics like Peter Pan’s Flight and Snow White’s Scary Adventures (now gone from the Magic Kingdom), this new attraction lets guests climb into clamshell vehicles and glide through scenes and songs taken straight from one of Disney’s most beloved classic animated feature films. 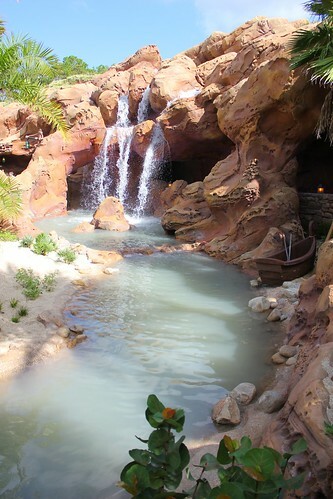 But unlike the ride at the Disneyland Resort, this new Magic Kingdom version sits inside a highly themed area that includes massive seaside rock work, home to Prince Eric’s castle. 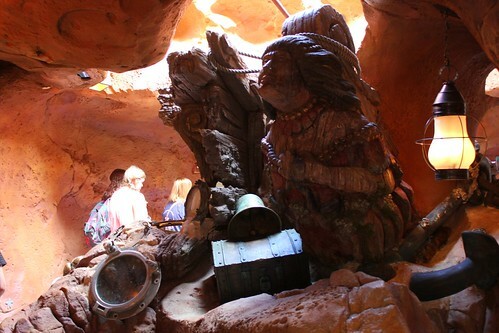 Within, guests pass by a shipwreck marking the entrance to the ride and wander through caverns while waiting to board. 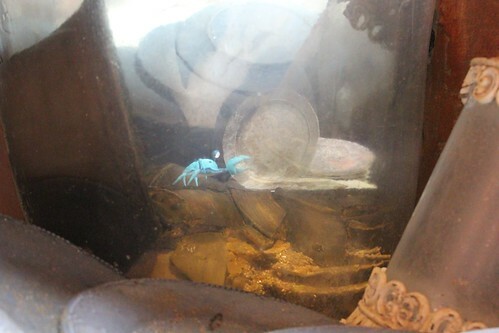 The ride itself is nearly identical to the west coast version, from Scuttle introducing the story to impressive appearances by Ariel, Sebastian, Flounder, and one of Disney’s most lifelike Audio-Animatronics figures to date, Ursula. It’s a long Omnimover-driven attraction that fits perfectly in the Magic Kingdom. Guests waiting for Under the Sea ~ Journey of the Little Mermaid can pass the time by joining in Scuttle’s Scavenger Hunt, featuring an Audio-Animatronics figure of that famous bird-brained seagull from “The Little Mermaid.” Through posted signs, Ariel and Scuttle invite guests to join in the fun of adding to her collection of whosits and whatzits galore by pointing to various objects throughout the queue, after which little blue animated crabs will grab those items and tuck them away. 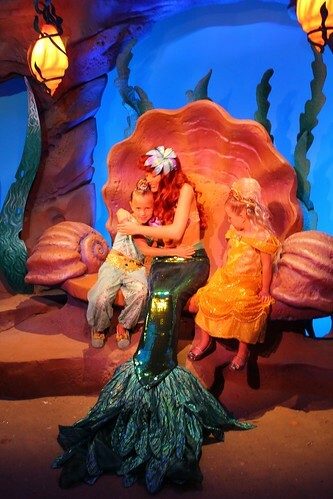 Also tucked away along the seaside, separate from Under the Sea ~ Journey of the Little Mermaid, is Ariel’s Grotto, a chance for guests to meet The Little Mermaid herself. 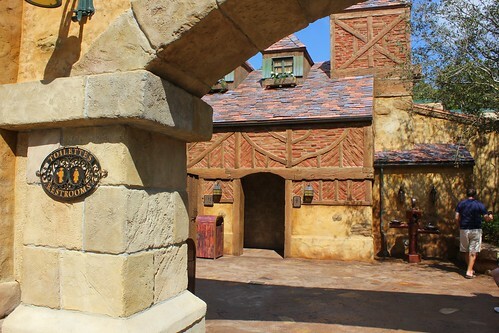 It’s quite similar to the previous meet-and-greet of the same name that was once located in roughly the same area of the Magic Kingdom, but its theme has been greatly enhanced with far more detailed work. 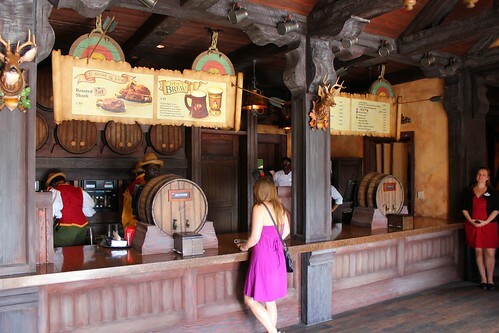 And guests will enjoy privacy while meeting with Ariel, one group at a time, engaging in conversation before taking pictures and getting autographs. 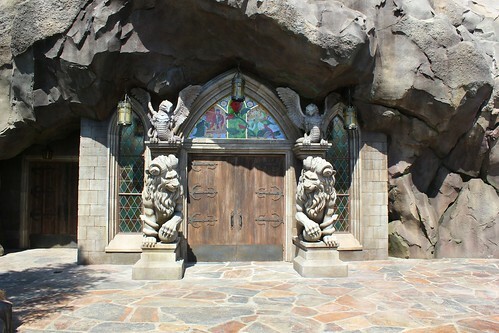 Though not open to guests yet, the approach to the new Be Our Guest restaurant is impressive unto itself, requiring the crossing of a bridge lined with ghoulish gargoyles, getting closer to jagged rocks and Beast’s castle lurking in the distance high above. And what a sight it is, particularly the giant waterfall cascading across the rocks nearby. Though the dining experience inside is surely to be a happy and festive occasion, there’s a certain sense of foreboding in reaching it. 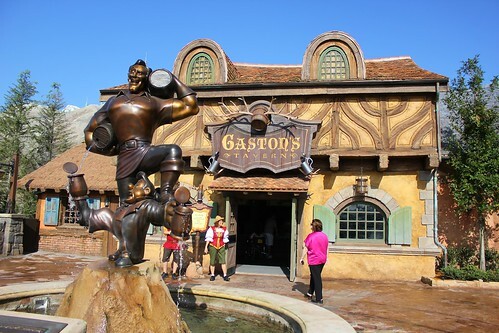 Borrowed directly from “Beauty and the Beast,” this entire area of New Fantasyland recreates the feeling and environment of the beginning of the film, down to its centerpiece, a fountain featuring Gaston and LeFou. 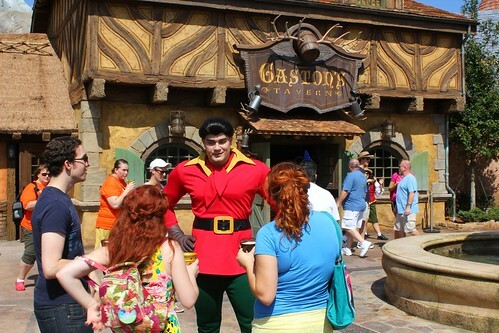 And this is where Gaston himself meets with guests, always hilarious and full of himself. 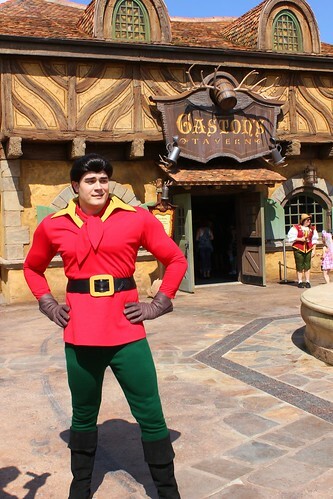 Unique treats are offered inside this equally unique establishment, warm and inviting but somewhat off-putting, just like Gaston himself. 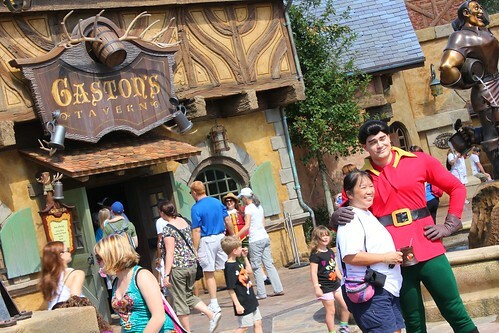 Lined with antlers and plenty of wood textures, Gaston’s Tavern wants everyone to pull up a chair and order a drink – of LeFou’s Brew that is, a concoction borrowed from Cars Land and given a new name for its Florida home. 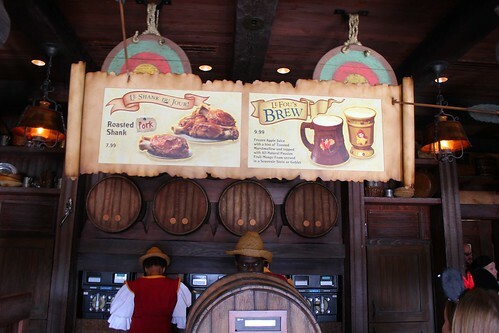 But the tavern also serves pork shanks and cinnamon rolls, which should both prove to be popular menu items. 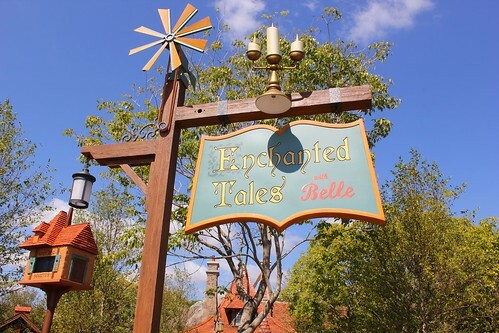 The one area of New Fantasyland that has already been seen by many a Magic Kingdom visitor in recent weeks is Enchanted Tales with Belle, housed within Maurice’s Cottage, ultimately transporting guests magically within the walls of Beast’s castle and back. The experience is essentially the same today as it was during recent previews, though a few exterior details have been added, shared below. 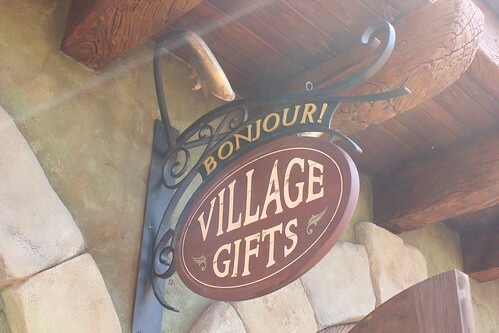 Modeled after Belle’s favorite little bookstore, Bonjour Village Gifts offers a variety of New Fantasyland and Beauty and the Beast items, as well as much of the usual Disney merchandise. 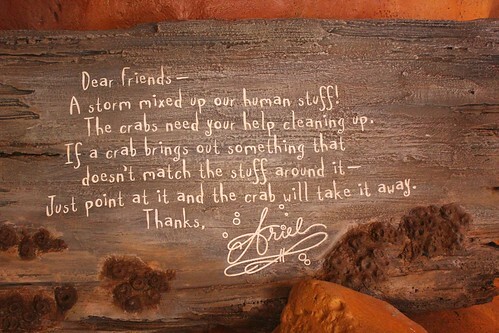 But its details are where this store’s charm lies. 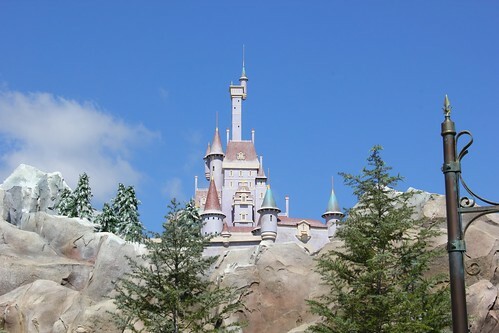 Even as official opening day approaches, there is still much more work to be done in New Fantasyland, culminating in 2014 with the Seven Dwarfs Mine Train coaster. 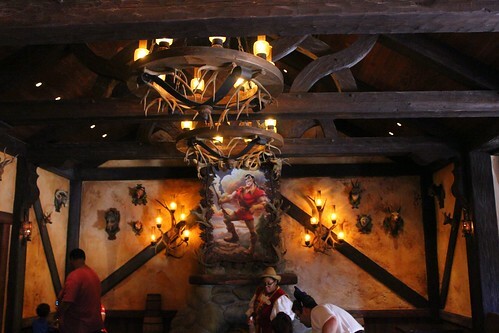 Sooner, the Be Our Guest restaurant will begin dinner service on November 19 and will be available for tours during special preview engagements before that. 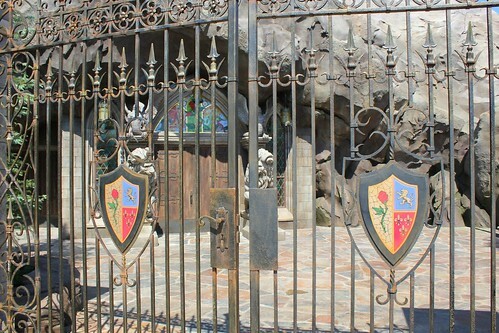 Princess Fairytale Hall will debut some time next year. 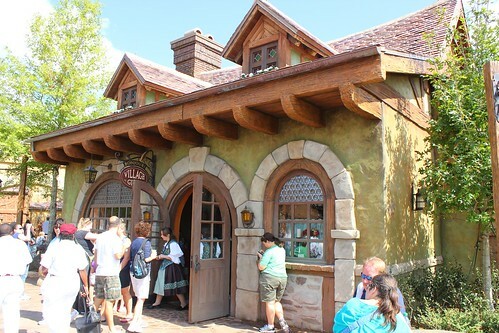 Today’s soft opening was unannounced and there are no guarantees any portion of New Fantasyland will be open to Magic Kingdom guests outside of previously-announced previews. 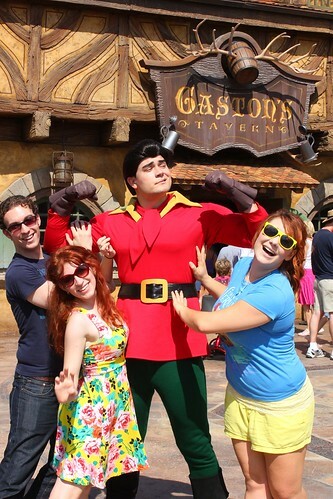 Annual passholders may sign up for specific preview times and dates on Monday, October 15, 2012 at noon ET. 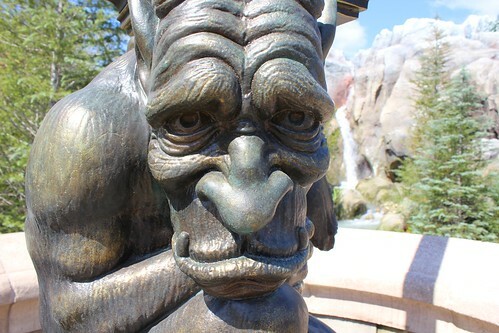 All others interested in seeing New Fantasyland in advance of its December 6 grand opening will have an opportunity to preview the area beginning November 19, 2012, after which it will be open daily. Awesome pictures Ricky! Can’t wait to see it in person in December! 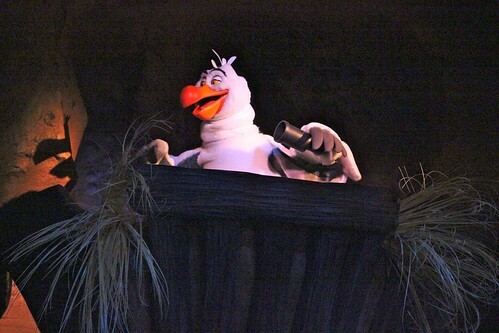 That scuttle looks like so much fun! I can’t wait till February! 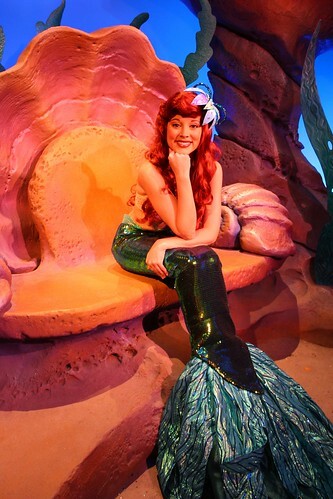 I hope you get the chance to interview Jodi Benson this December. Thanks for the sneak peek and all the photos! It almost eases the blow of not being there to see it first hand for myself. Almost,…ok not really. So jealous! It looks amazing! Any luck finding the nautilus rock and is Mr Limpet there? 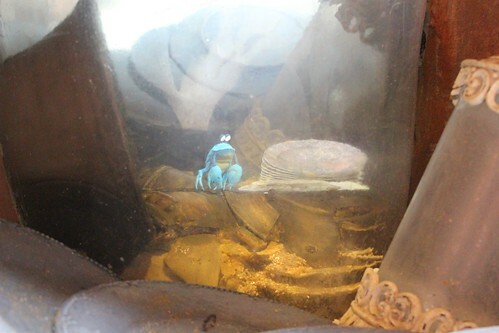 And no Mr. Limpet fish in Florida’s version of the ride. I looked for it both times I went on today. 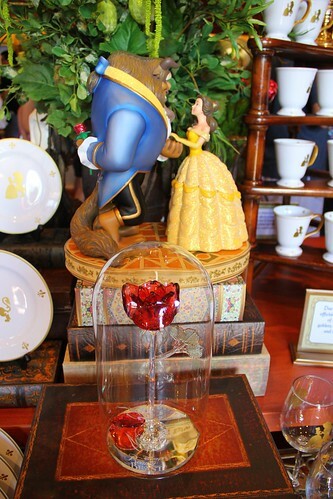 The Beauty and the Beast section looks amazing! 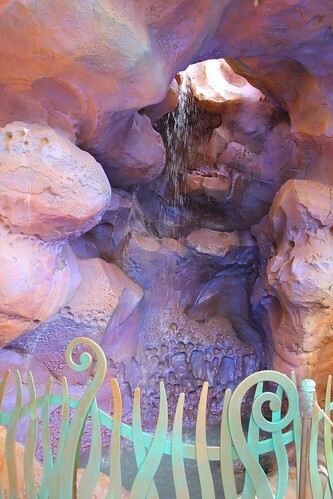 The Little Mermaid section and ride– not so much. 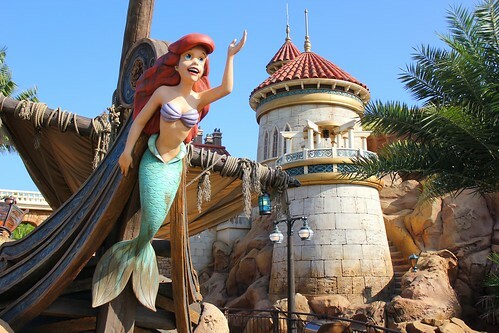 The wooden Ariel nailed to the front of a ship is just CREEPY! It looks awful, even disturbing for little kids. 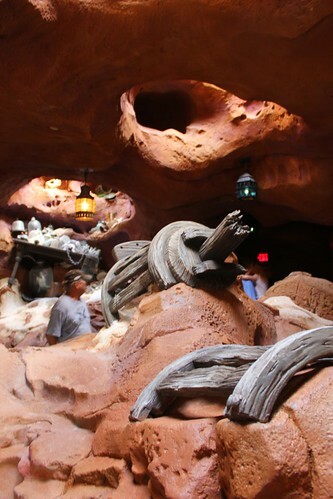 And the ride, while ok, is so much like the show at Hollywood Studio, I wonder if we really need both? 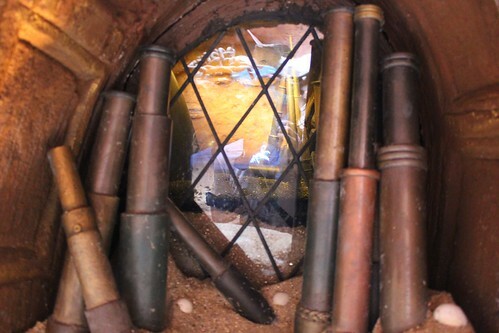 I like the classic dark rides, and I’m happy to see a new one, but I think Peter Pan and Pooh and Mr Toad and Snow do the compression and shortcutting required for dark rides much better. 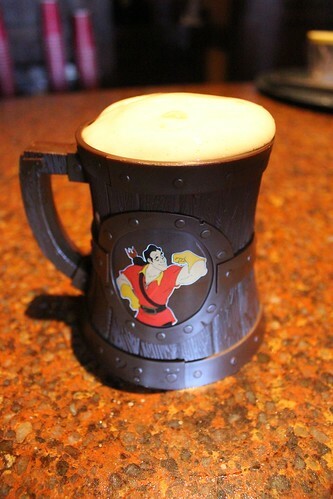 As a Butterbeer fan, I can’t wait to try Le Fou’s Brew. 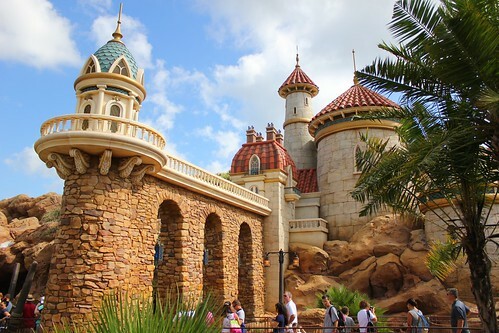 New Fantasyland will truly be a wonderful, enchanted place to visit…in fact, even with the construction going on, visiting New Fantasyland brings a whole new level of beauty, warmth, and enchantment to the Magic Kingdom! I look forward to your future reports from this enchanted place. Adios for now. Talk to ya on down the trail. Adios for now. Talk to ya on down the trail. Love the sneak peak you provided. I am planning a trip the weekend before the big grand opening. do you think all of this will already be open to everyone before the official grand opening? Any inside information you have would be great. All of it will be open as of November 19. Thanks for the preview. 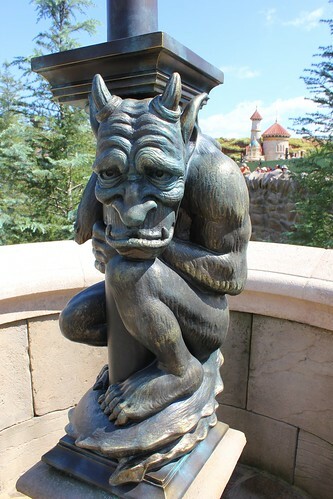 I’m looking forward to visiting WDW but, especially the new Fantasyland. I still remember my first ride (Dumbo) at WDW in 1971. I look forward to passing on this first ride tradition with my daughter and seeing her eyes light up to see all her princesses come to life! My wife, 5 y/o daughter, and I are counting down the days to 02-Dec! Will everything be open to the public then and they’re just doing the “Official” opening on 06-Dec? You’ve done an impressive process and our entire community can be thankful to you. 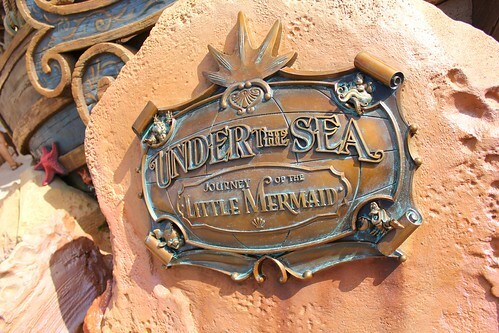 It all seems like such an enormous space to have only one new ride, the Mermaid deal…and that’s technically a rehashed DL ride. 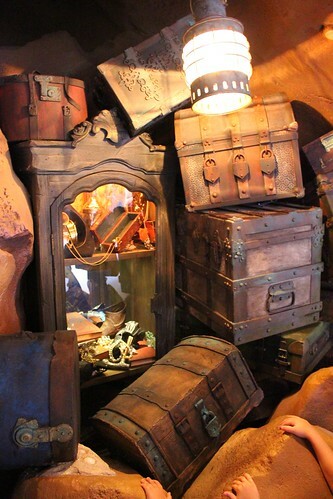 Ok the mine train coaster coming next year so two rides. Two whole rides in the space of an area that holds six or so already? What gives here? Acres of restaurants and gift shops? It’s very easy to find out any matter on net as compared to books, as I found this article at this web site. and thought I may as wwell check things out. I like wyat I see so i am just following you. ʟook forward to finding out about your web page again.